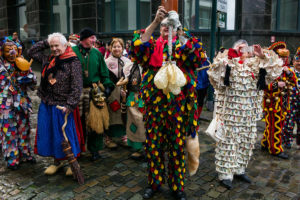 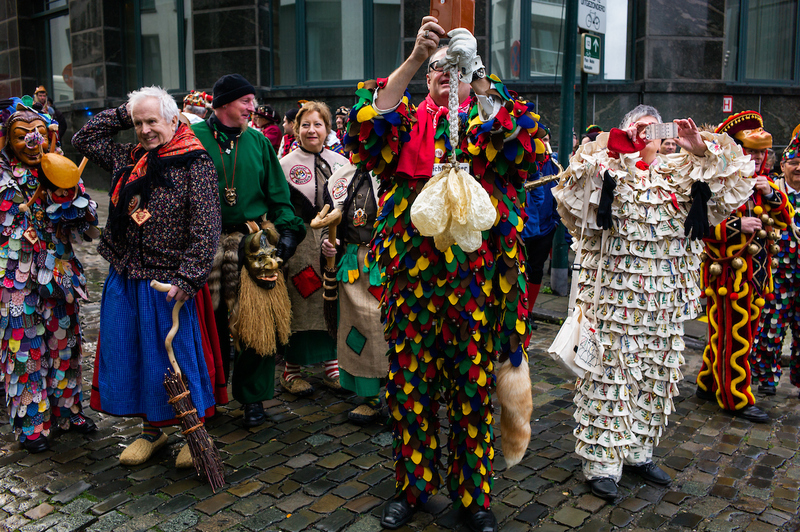 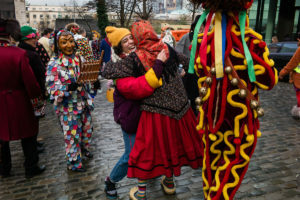 Belgium abstained from signing the Katowice Climate Conference agreement in December 2018, partly because of the complex political configuration of a country with 4 (four!) 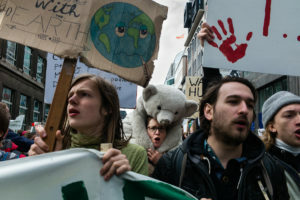 environment ministers. 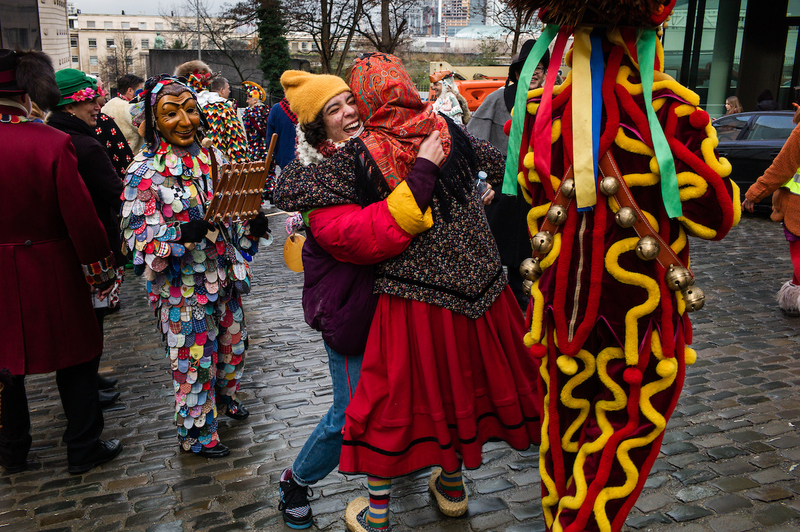 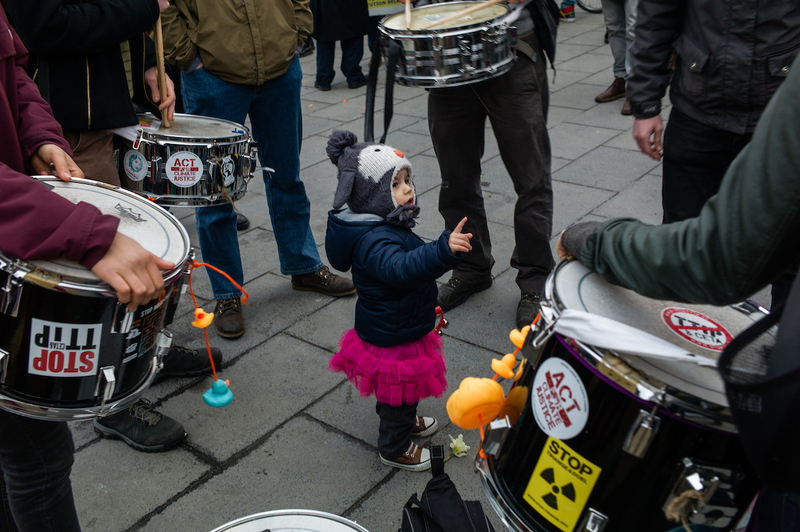 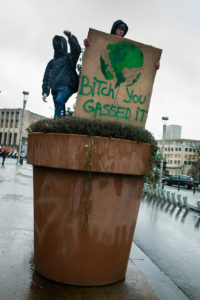 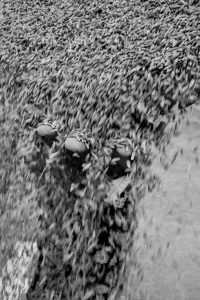 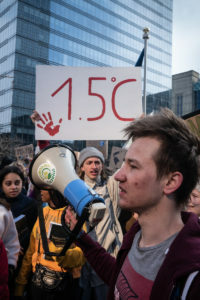 This happened days after a ‘Claim the Climate’ demonstration gathered 70K people in the streets of Brussels on December 2nd 2018. 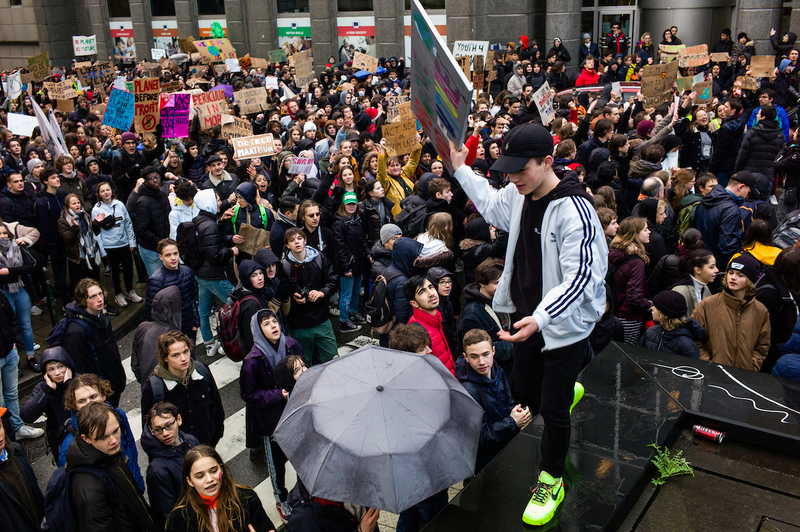 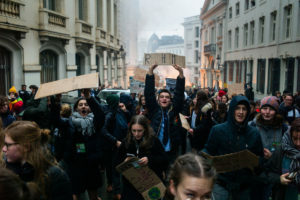 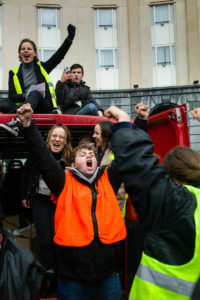 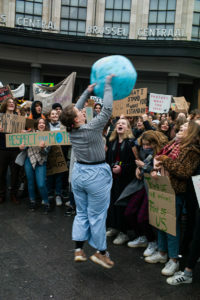 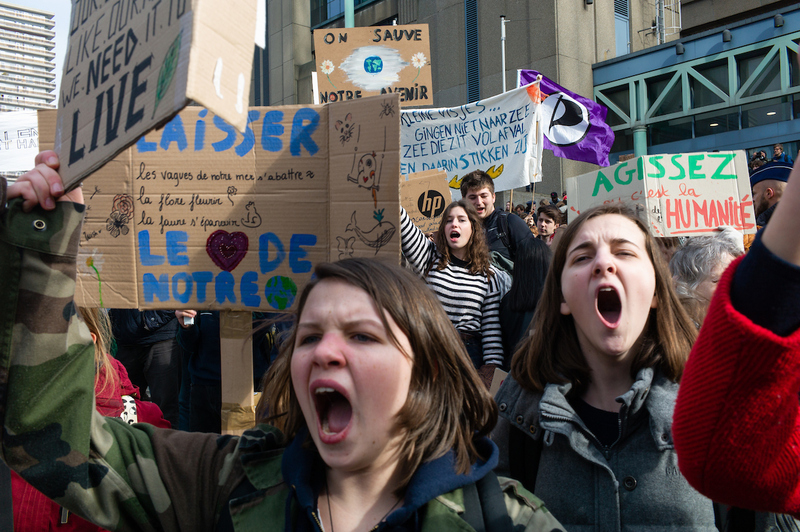 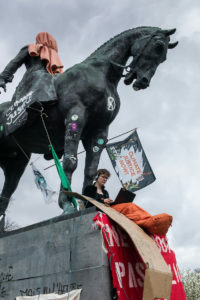 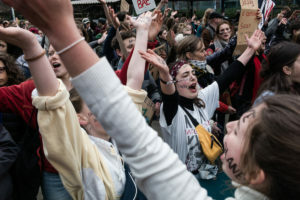 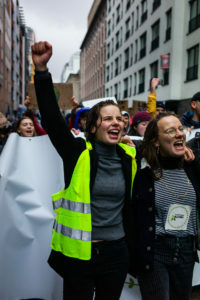 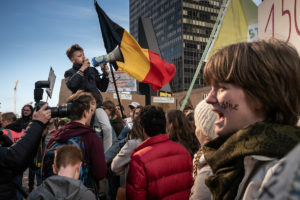 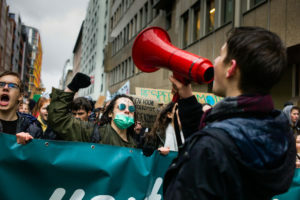 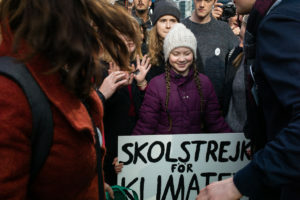 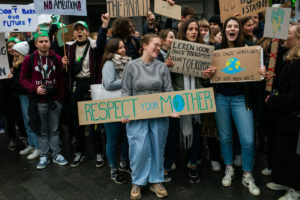 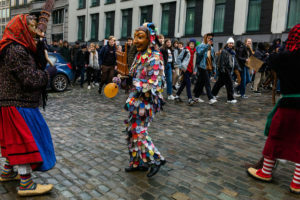 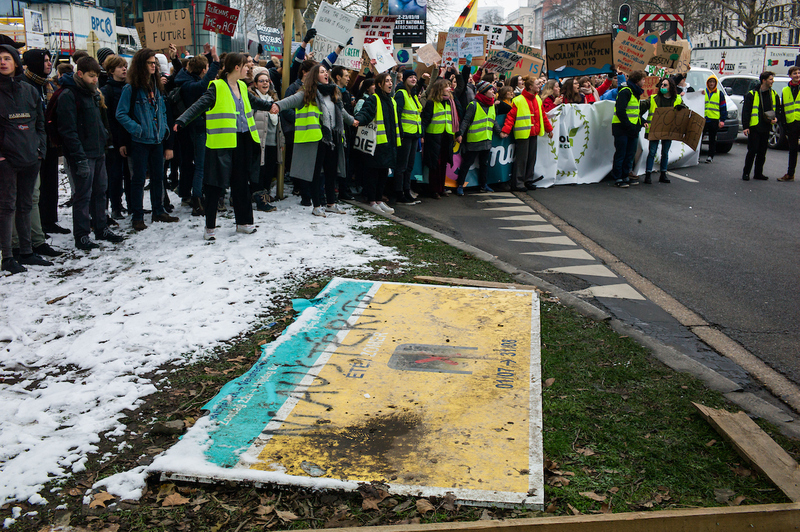 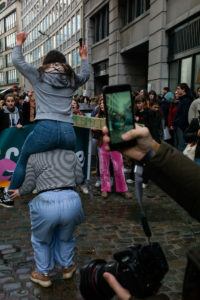 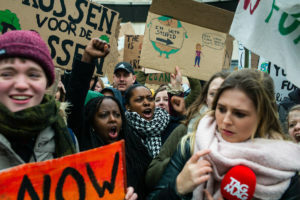 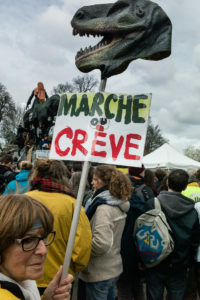 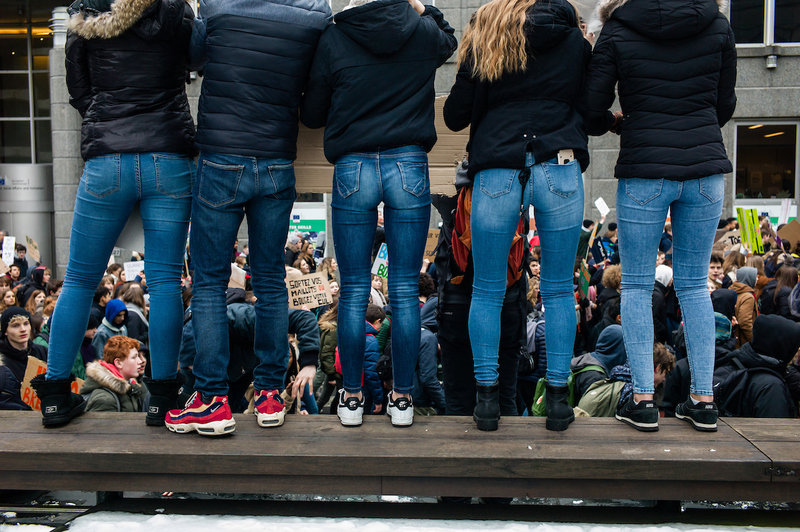 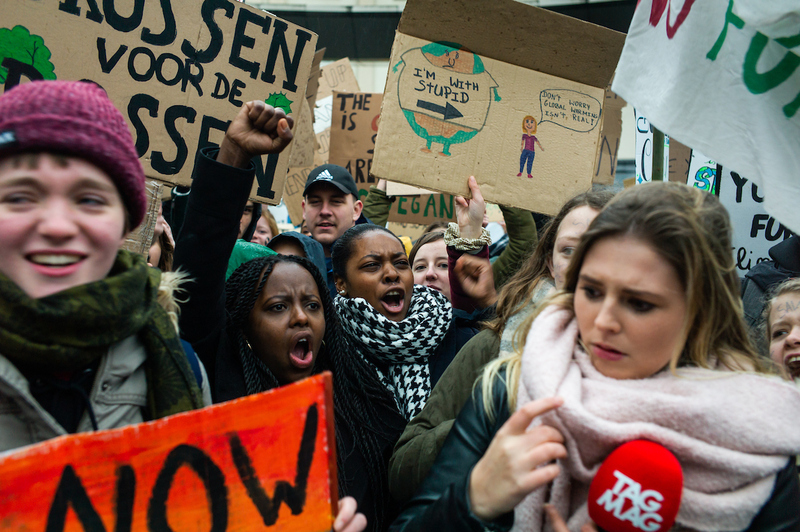 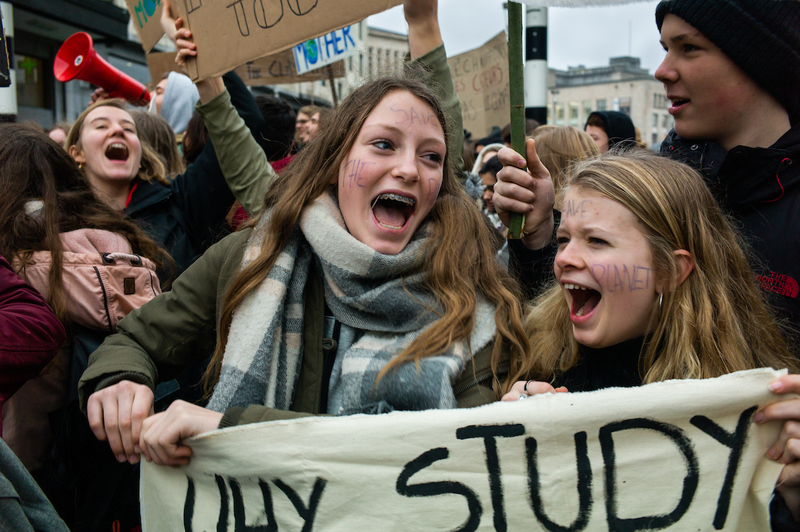 Irritated by the neglecting attitude of the government, and inspired by the young Swedish climate activist Greta Thunberg, a small group of second grade students, led by Anuna De Wever, Kyra Gantois, Adelaïde Charlier and others, started a series of weekly demonstrations with school-skipping students to put pressure on the Belgian Government to finally come up with a coherent and drastic plan to tackle climate issues. 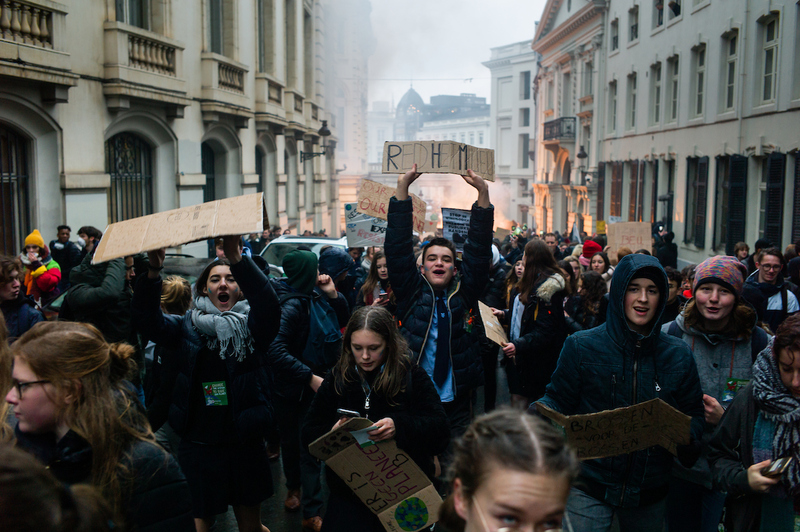 Gathering only a few thousand students on on its first time on January 10th, the numbers grew to 12K the second week, reached 35K one week after that and spread in several cities all over Belgium. 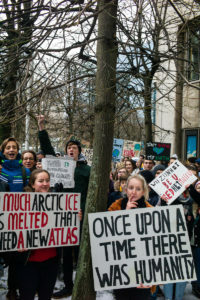 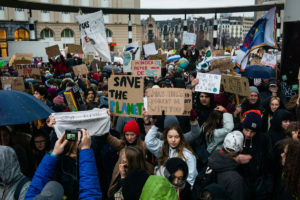 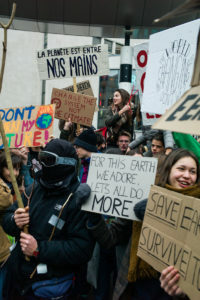 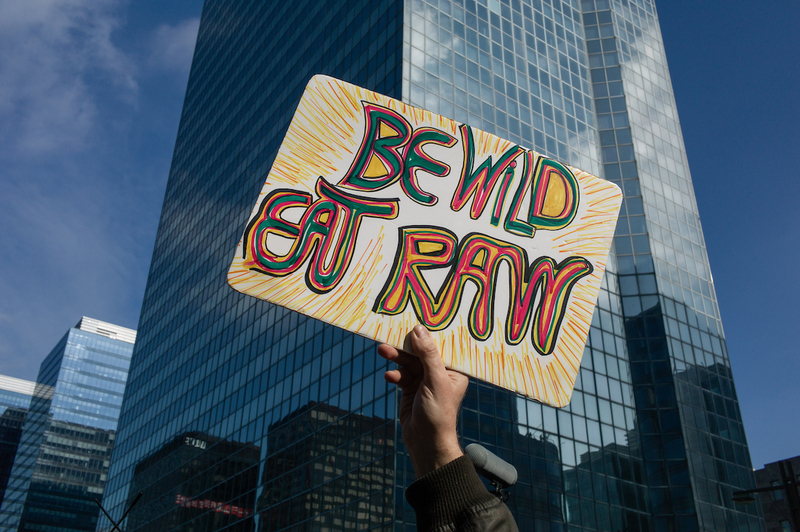 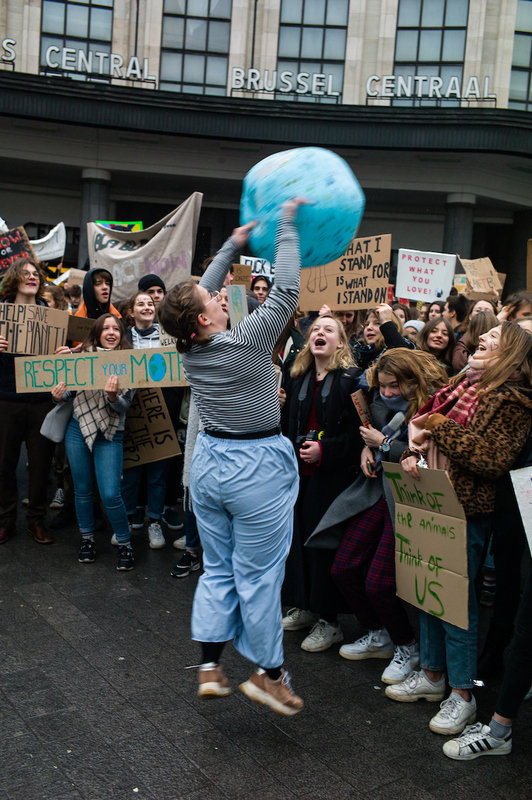 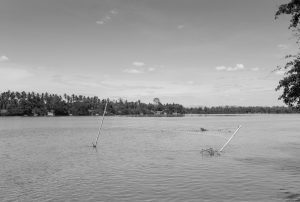 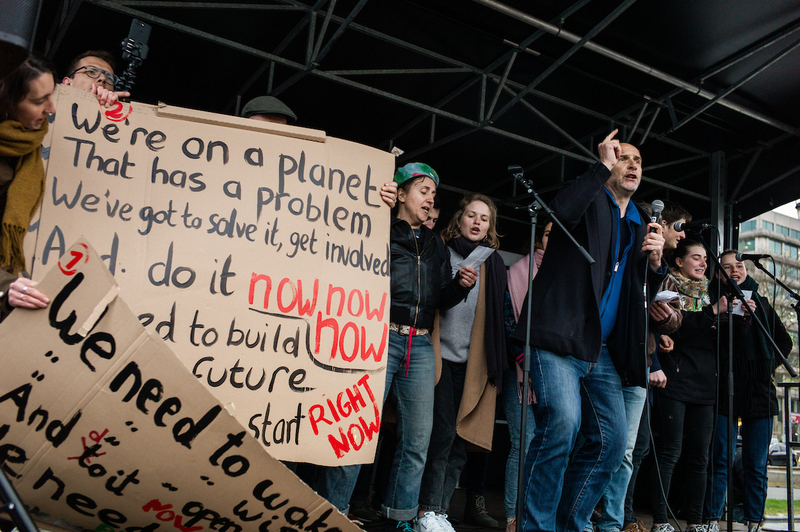 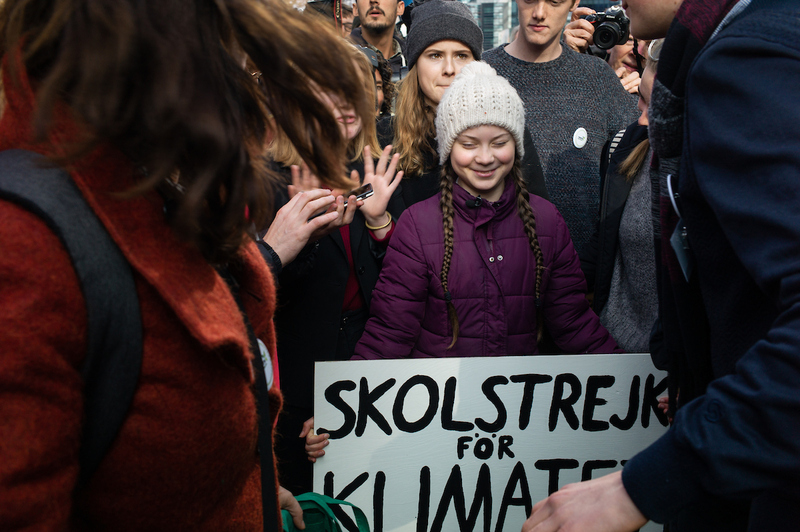 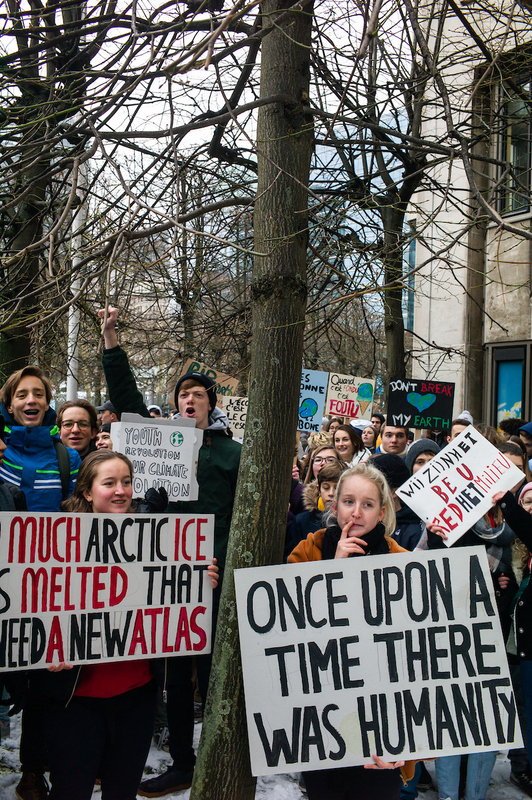 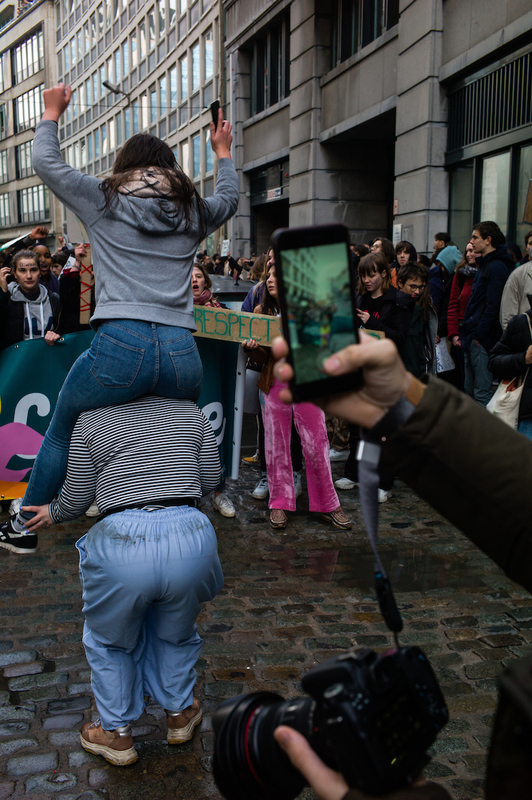 The energetic presence of the students in the streets considerably raised climate change awareness with the public and, combined with the looming elections of May 2019, climate became probably the hottest topic on the political agenda.